Conceived as a starting point for those coming to Buddhism for the first time, The Core Teachings is a guided tour of the most essential aspects of Buddhist wisdom and how they can be applied in our own lives and practice. 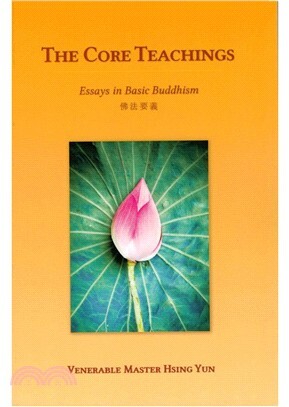 Honed by Venerable Master Hsing Yun’s decades of teaching and commitment to sharing Buddhism in a straight forward, accessible way, The Core Teachings gives new life to Buddhist basics like the Four Noble Truths, karma, and the five precepts. First published as Lotus in a Stream, this well-loved text has served as a gateway for many to bring peace and compassion into their lives. Now newly revised, expanded, and better than ever, The Core Teachings is a worthy companion for beginners and experienced practitioners alike. Venerable Master Hsing Yun has been a Buddhist monk for over seventy years and has spent his life working to promote Humanistic Buddhism. He is the founder of the Fo Guang Shan Buddhist Order, which has branch temples throughout Asia, Australia, Europe and the Americas. he is the author of many works, including "Embracing Nature," "The Biography of Sakyamuni Buddha," "Being Good," and "For All Living Beings."